Interested in Selling your Condo in Opera Tower? Opera Tower is both a visually-stunning luxury condo complex and a well-priced and affordable residence. Located in Miami's Entertainment District, Opera Tower offers 635 residences in a unique cutting-edge circular architecture. Upstaging anything that has appeared before, Opera Tower rises 60 stories above Biscayne Bay, standing out with its unique architectural shape in the center of all the excitement. Opera Tower is located just north of the new Performing Arts Center on Bayshore Drive. Amenities include: Café, shops, boutiques, bay view gourmet restaurant, Olympic size pool, whirlpool spa, fitness center, park, tennis courts, volleyball, and 24hr security. Amidst the heart of Miami's prestigious and thriving business/cultural district, every unit features an oversized terraces, which curves gracefully around each residence, providing magnificent vistas of Biscayne Bay, South Beach, Downtown Miami, the Performing Arts Center and beyond. At Opera Tower, you will be at the center of everything that is happening in Miami. Opera Tower's luxury residences have efficient floor plans with a mix of studios and one- and two-bedroom units. The building's unique, elliptical shape creates enhanced views from full wraparound terraces. With great attention to interior architectural detail, deluxe features amenities such as solid wood doors, stainless steel appliances, European gourmet kitchens with granite counters, sumptuous baths outfitted with ceramic flooring and marble vanity tops, and much more. The building's social and recreational amenities promise the finest service to enhance the uncompromising lifestyles of its residents. Condo units are available for sale and for rent, making every option available to be a part of this amazing living experience. Every part of Opera Tower condo is designed to perform beyond the greatest of expectations. With extraordinary, high-tech exterior and interior design elements, Opera Tower is a landmark in one of the country's most prominent skylines. Residents will appreciate the unparalleled sophistication, as well as the convenience of having Downtown Miami at their doorsteps, with the city scene and its myriad of recreation and entertainment venues within walking distance. With its pedestal lobby and garage, Opera Tower conveys an inviting, comfortable, and compatible “curbside appeal” ambience. Opera Tower also offers facilities for an elegant restaurant, outdoor grotto café, gourmet market, dry cleaners, beauty salon, and much more. Ready to perform beyond all expectations, every conceivable amenity has been considered. For those who appreciate all that Downtown Miami has to offer, Opera Tower provides the ideal residence amidst the much-heralded cultural renaissance now underway. Adding to this dazzling, cultural wonderland is the new Performing Arts Center, just a block away and home to major events, including the ballet, opera, and symphony. Opera Tower is located just two blocks from Museum Park Miami at Bicentennial Park, which boasts an exquisite public park and sculpture garden, as well as new facilities for the Miami Art Museum, Miami Children’s Museum, Jungle Island, and Miami Museum of Science. These cultural centers and attractions will further serve to enhance the experiences of those living and working in the area. Opera Tower is close to everywhere you want to be. You can shop or dine at nearby Bayside Marketplace, catch a Miami Heat basketball game or concert at American Airlines Arena, and easily get around Downtown by using the Metro Mover. Just minutes away from our luxurious residences is all of the spectacular entertainment, fine dining, choice shopping, and fabulous recreation for which Miami and South Florida are famous, including five-minute drives to the colorful nightlife of South Beach and Coconut Grove, the prestigious shops of Coral Gables, and the pristine beaches of Key Biscayne. The eight-acre, waterfront Margaret Pace Park is beautiful, spacious, lively, and welcoming. Located in front of Opera Tower, it is a hot-spot for active Miamians and for those who like to stroll along and enjoy a picture-perfect day by the bay. The park includes a variety of sporting fields and courts, as well as playgrounds and barbeque areas, with tennis courts in front of Opera Tower. You can also dock your boat just across the street at Sea Isle Marina and Yachting Center and enjoy beautiful views while sipping your favorite drink. You just can’t get any closer to perfection. Make Opera Tower your new home in the sky! 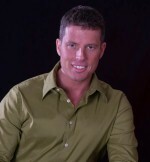 Steve Samuels is known as one of the premier Miami Real Estate & Miami Condo Brokers in the South Florida market. His negotiation skills, market knowledge and no-nonsense, results-driven approach has made him one of the most sought after luxury condominium, Oceanfront, Beachfront Condos, Oceanfront Villas, and single family waterfront realtors from Miami to Palm Beach County. View MLS Listings for Downtown Miami, South Beach, Miami Beach Condos for Sale in South Florida and Miami Beach. CondosandCondos.com is one of the Leading South Beach Real Estate websites where you can find Waterfront, Bayfront, Beachfront Condo Sales, Oceanfront Condos Sales & Rent . Search for Oceanfront Condos Luxury Condos in Miami, Miami Beach, South Beach, Sunny Isles, Hallandale, Key Biscayne, Bal Harbour, Fisher Island, Coral Gables, Ocean Drive and all of South Florida.